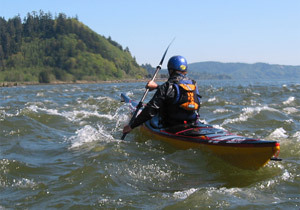 The rapid onset of high winds, fog, storms and other dramatically changing conditions on the lower Columbia can transform a seemingly easy paddle into a dangerous, and even life-threatening, situation. Be prepared for the worst scenario and make safety a priority when planning your trip. Adequate preparation is critical to safe paddling. Be prepared for the worst scenario and make safety a priority when planning your trip. Check out these other safety pages for additional resources.